Looking for a destination that will help your teenager experience a bit of the early history of the United States? A visit to the home of the USA’s third president, Thomas Jefferson, may be what you are looking for. Nestled in the mountains of Charlottesville, Virginia, Monticello is a destination that will pack a lot of history into just a few hours of your time! Even the view of Monticello from the rear of the house is impressive. 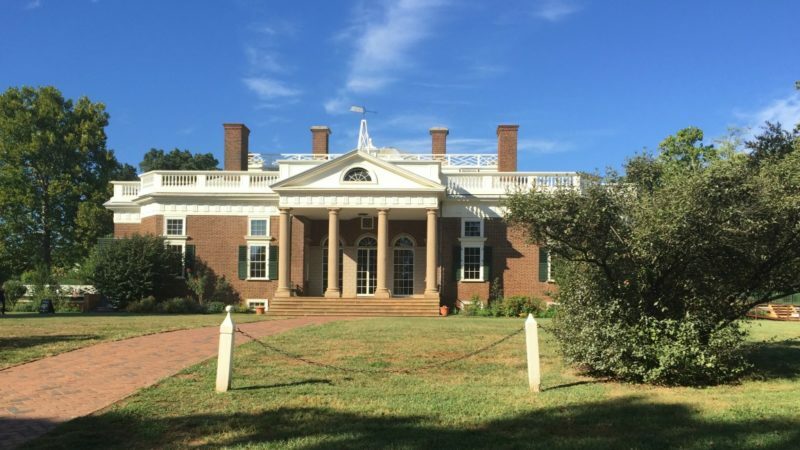 Thomas Jefferson is one of the best known of the U.S. presidents, and the home that took him 40 years to complete is a popular landmark to visit. Jefferson built Monticello on the summit of one of the peaks in the Southwest Mountains of Virginia, a range centered in Charlottesville. The house is now a museum, and visitors are welcome to schedule different tours of the house itself, as well as to wander and explore the grounds. Even though I was born in Virginia and have lived here all of my life, I must admit that I have never been to Monticello. So, imagine my excitement when the door opened for my 16 year-old daughter and me to visit this historic landmark! Charlottesville is about an hour from where we reside, and she and I were part of a group of 17 exchange students and 2 teachers visiting from Spain. Our group began our house tour at 10 a.m. Our guide was a wonderful woman named Nancy who was very welcoming to our Spanish students. In fact, she took time to share with us about a special time she spent in Spain walking El Camino de Santiago. After telling that story, she began to walk us through each of the rooms on the first floor, stopping in each to give us a bit of history about what we were seeing in front of us. Our tour lasted about 40 minutes, and none of it felt hurried or rushed. While we could not touch things or take photos, we were able to see the rooms and artifacts with ease. Afterward, she concluded her narrative of the house and we were free to roam the grounds, looking at the gardens, the kitchen, and other features situated there. My daughter is very familiar with the smash hit Broadway musical, Hamilton, so much so that she can sing most of the soundtrack from memory. The musical itself recounts the life and times of Alexander Hamilton, and his interactions with other founding fathers, including Thomas Jefferson. There is even on song, titled “What’d I Miss” in which Jefferson talks about returning home from France to become Secretary of State of the United States. Having said that, our visit to Monticello helped her to put the historical pieces together with the songs that she and her sister have been singing for more than a year. 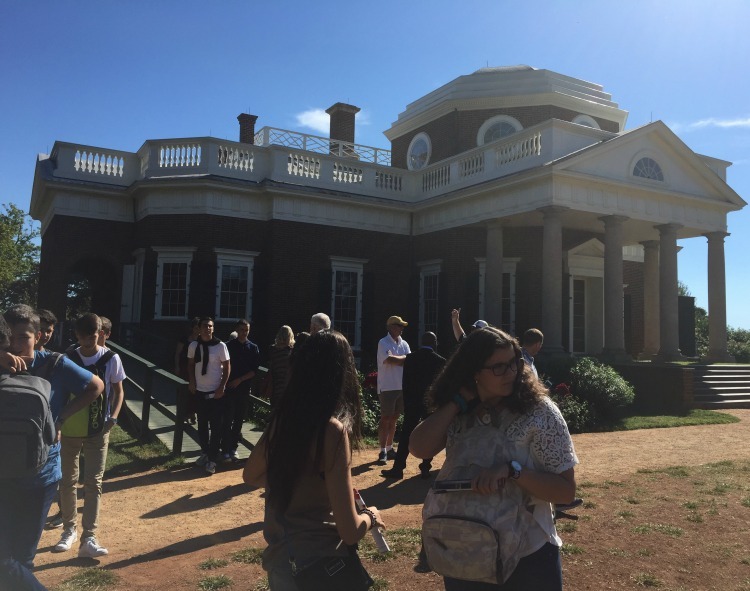 Through the tour narrative, she and I both were able to better comprehend Jefferson’s importance to and his role in the history of the U.S. We observed his fondness for the country of France through the architecture and furnishings of Monticello. In addition, we could see before our very eyes the product of his genius and skill. For instance, he was a self-taught surveyor, and with that skill he helped to level the peak upon which Monticello sits today. He also used many forward-thinking inventions that are on display in several of the rooms. As part of an African-American family, I deeply appreciate the accuracy in telling the history of slavery as it pertains to the operations of Monticello in the late 1700s. Our tour guide used the term “enslaved peoples” instead of slaves, giving honor to the humanity of those who were forced into the condition of slavery. 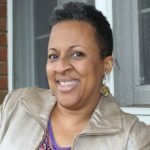 We also gained insight into Sally Hemmings, the enslaved woman with whom Jefferson fathered six children, as well as the Hemmings family legacy that is a part of Monticello. 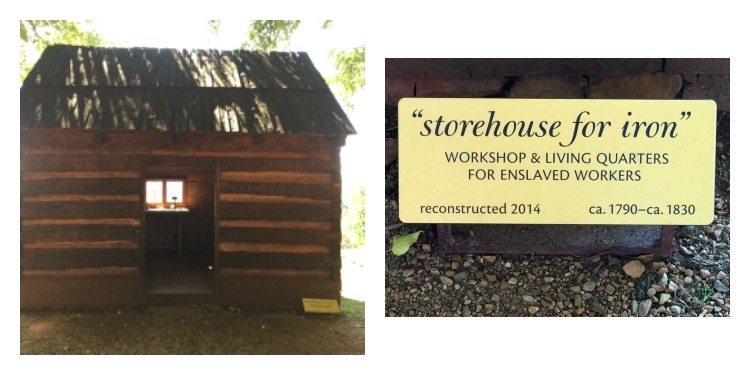 A reconstruction of a workshop & living space for enslaved workers at Monticello. In addition to being a touchpoint for the relevance of the past, seeing Monticello is also a first-rate way to experience the aesthetics of both the art inside Jefferson’s home and the captivating beauty of the natural landscape that surrounds it. The front of the home offers gorgeous vistas of the mountains in all directions, and we enjoyed taking a number of photos there. Also, the art and architecture of Monticello itself is easily seen through items such as a hand-crafted bust of James Madison that sits in the bedroom, as well as a well-preserved painting of George Washington that adorns the ceremony room. This visit gave my daughter and me the chance to glimpse the life and times of Thomas Jefferson and his family. We observed much just by being at his home: the way food was prepared and served in that era, the French influences in the architecture, and the purposeful layout of the buildings and the grounds. We were able to connect with history in a more personal and tangible way. 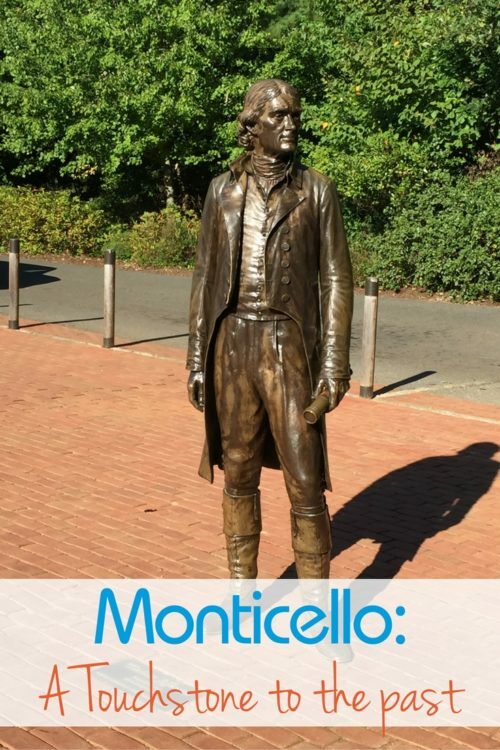 It is worth your time for you to put a visit to Monticello on you list!